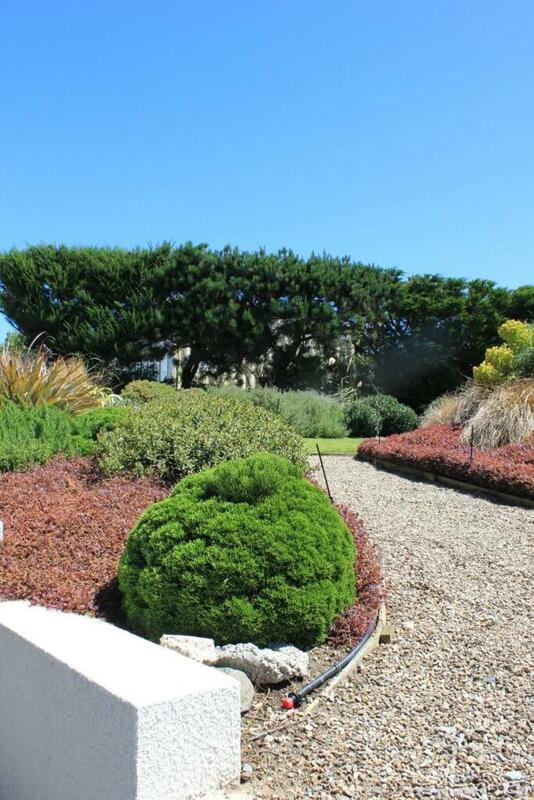 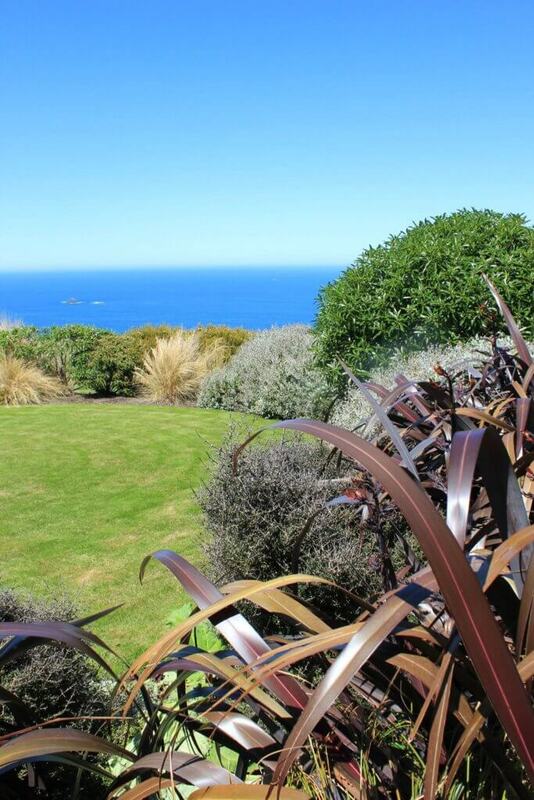 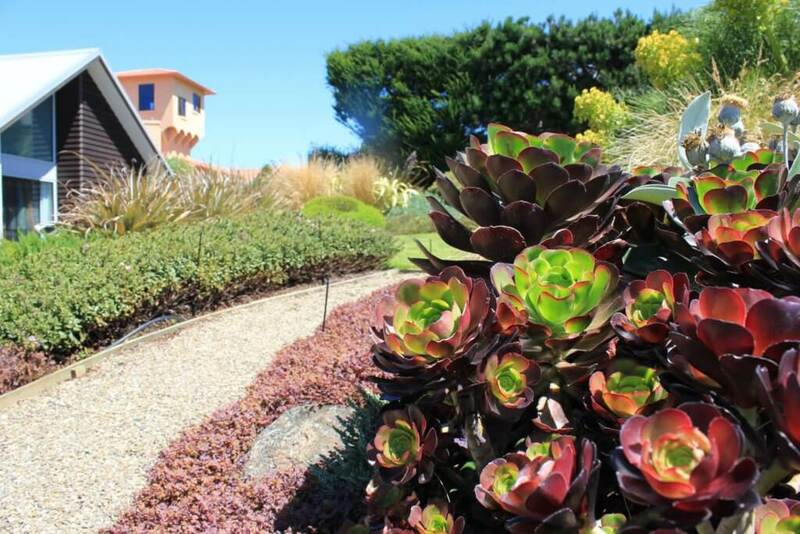 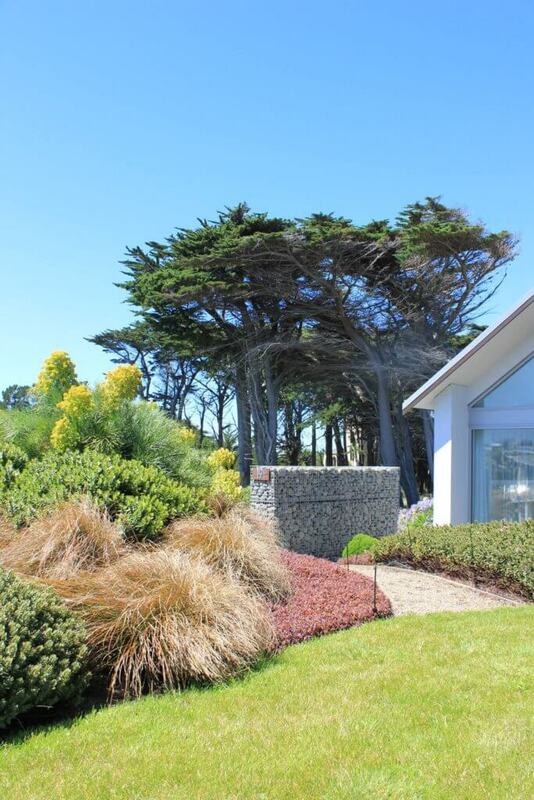 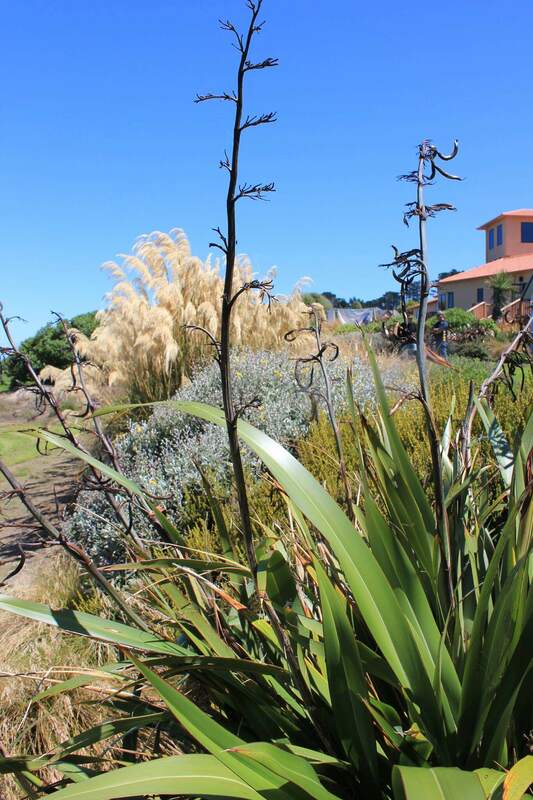 This St Clair garden was designed with the brief for a low maintenance natural garden on this harsh windswept site. The main design was based around trying to achieve shelter and easy-care with mainly a native coastal theme. The site is very exposed to the sea breeze and it has been a struggle to get plants established in the poor soils and rugged site. 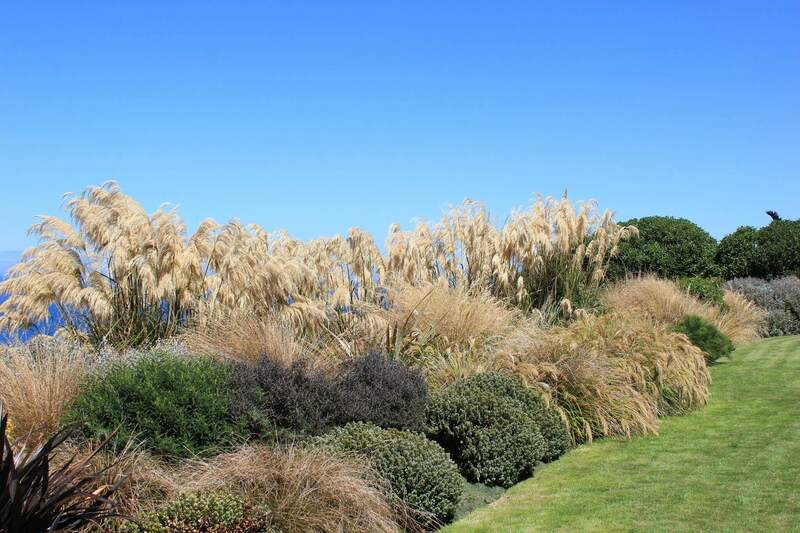 The area can dry out very quickly and we have kept our plant pallet mainly around hardy natives and sun loving exotics. 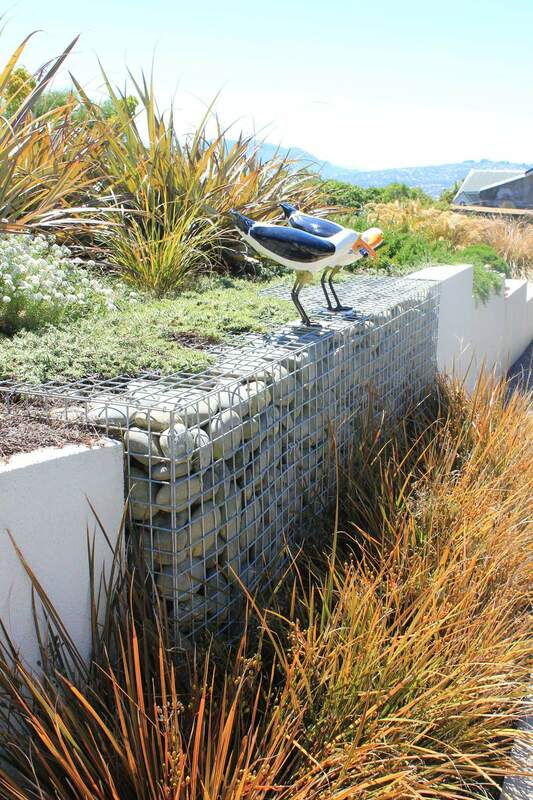 The main harder elements are based on natural materials with stone and exposed concrete and natural slab and schist. 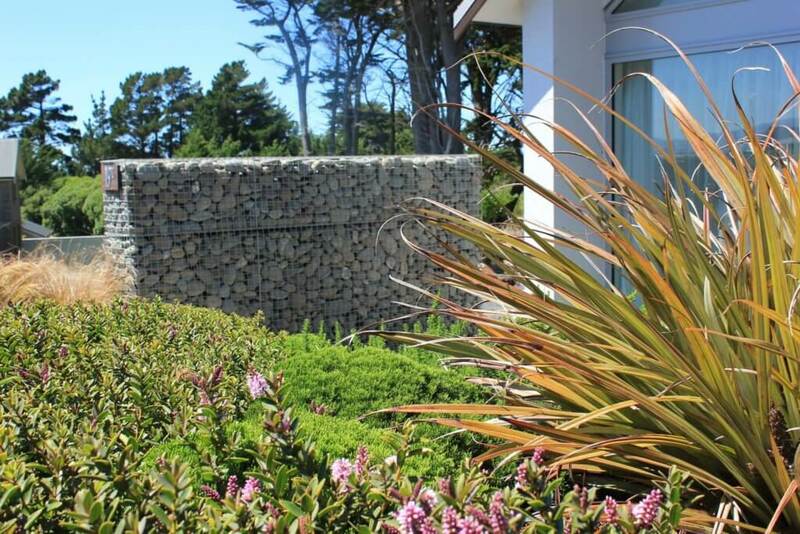 Key elements have been brought in with the use of upright accent river stone gabions. 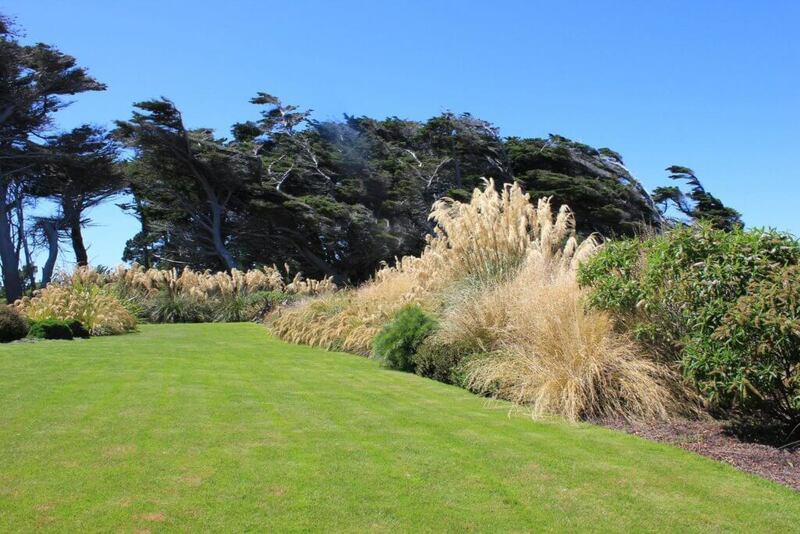 We have also formed two main seating spaces to follow the shelter. The deck picks up morning sun while the main internal courtyard picks up late sun. Plant design is a key element in the success of this garden with the use of hardy planting groups allowing quick cover and shelter to allow internal plantings to establish. 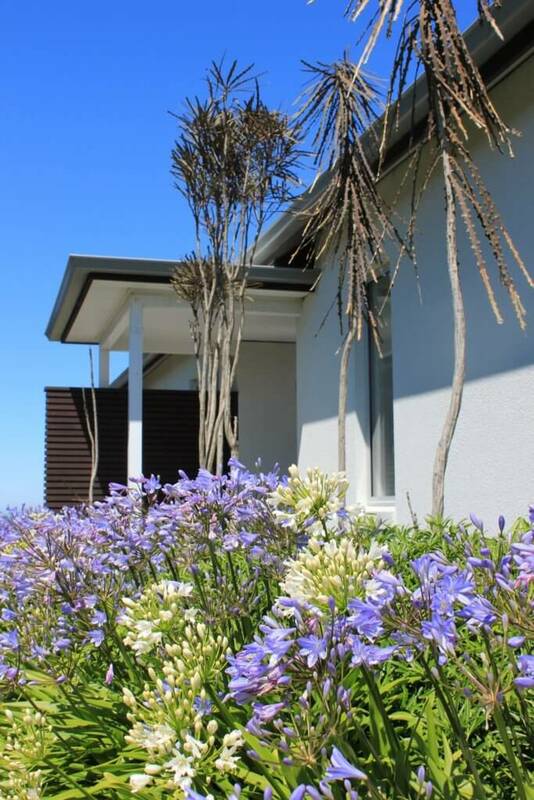 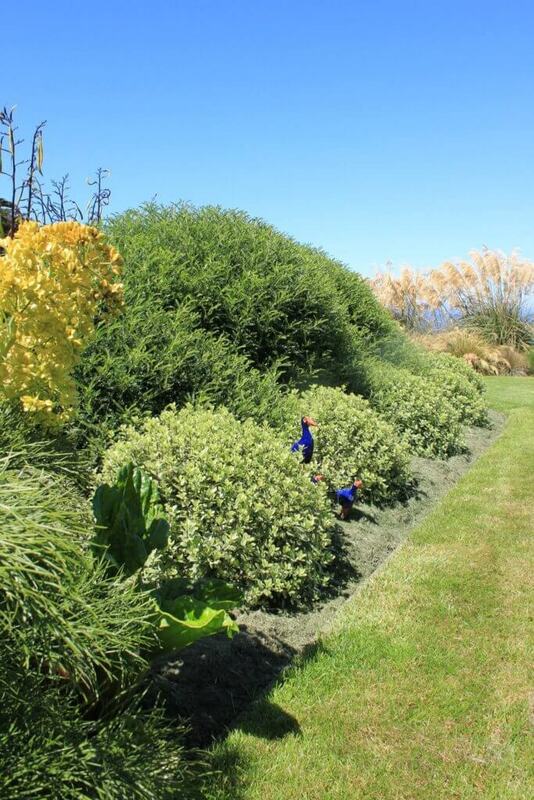 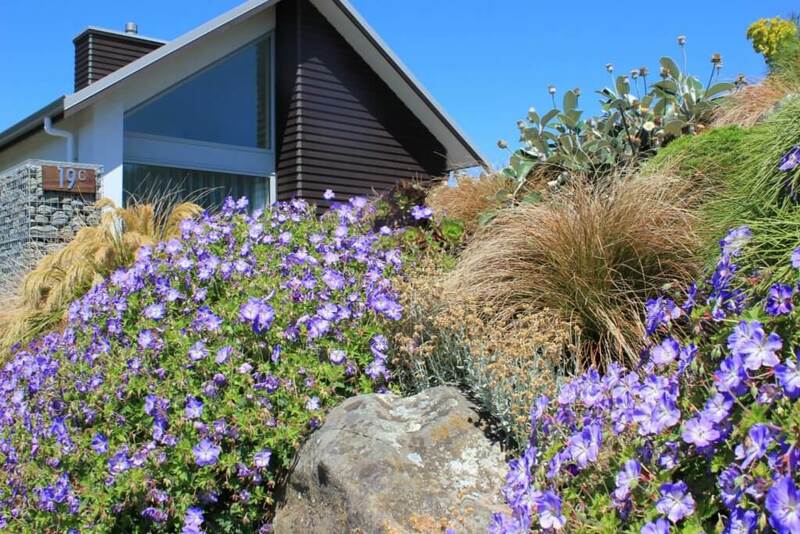 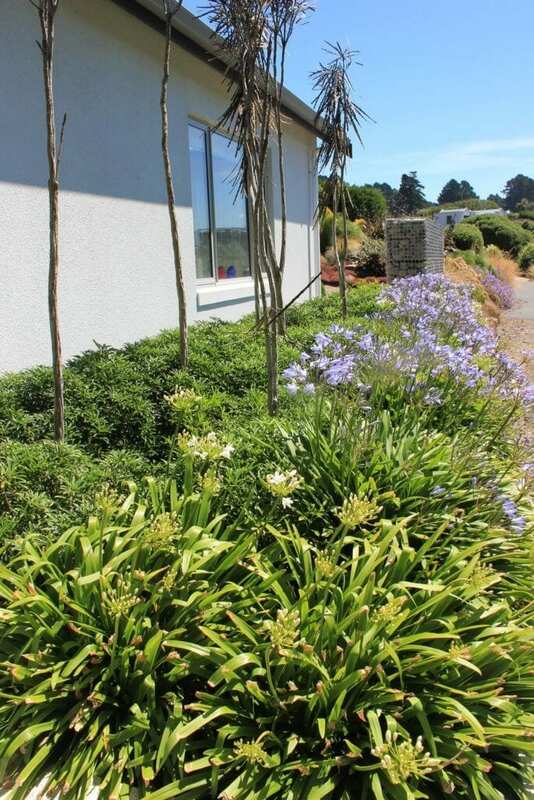 We used a combination of sun-loving hardy exotics like Choisya, Cistus and Grevillea and Agapanthus combined with natives to achieve quick cover with colour and texture.